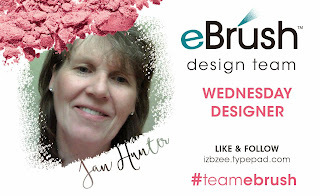 Hi everyone, Jan here with a quick and easy holiday banner. I really don't like eating them, but they do make for some fun creative crafting ideas. At our house, it was a Peep Show! These 6 inch peeps made of all white paper are easy to color using the eBrush. 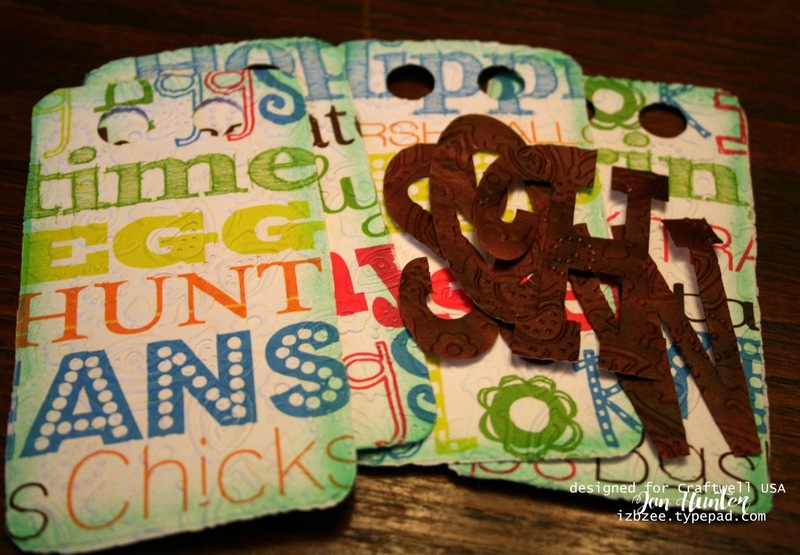 Cut the peeps, tags (tags are from the basic shapes library) and lettering (I used Cherry Swash). Cut one more peep than the number of tags you'll need. 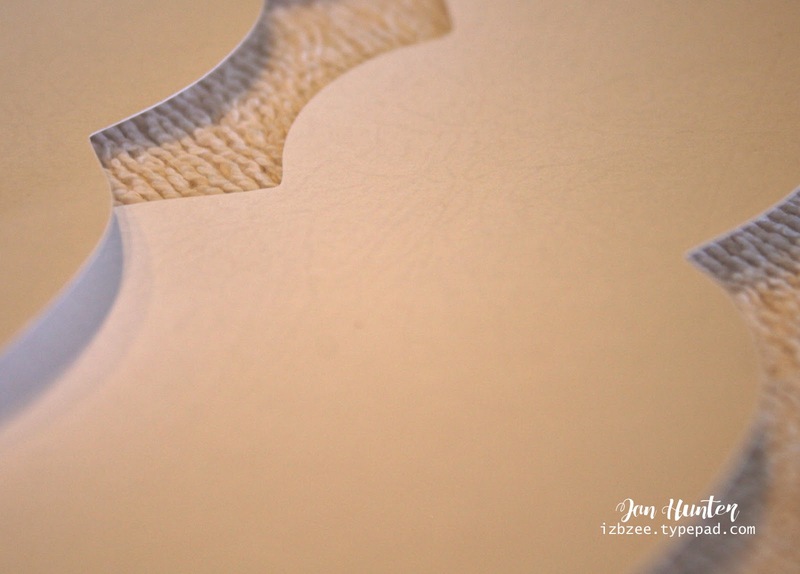 TIP: Add your hanging holes to your tags and peep ears and let your machine to the work for you. With all the cutting done, run the designer paper tags through the Xyron and adhere to the tag bases. I wanted to try using a Wax resist technique on the peeps, so I wrinkled a piece of wax paper, smoothed it out a bit and placed it between two peeps. Place the peep sandwich between two pieces of copy paper and iron (setting on cotton). You will have a light waxy pattern the peeps. 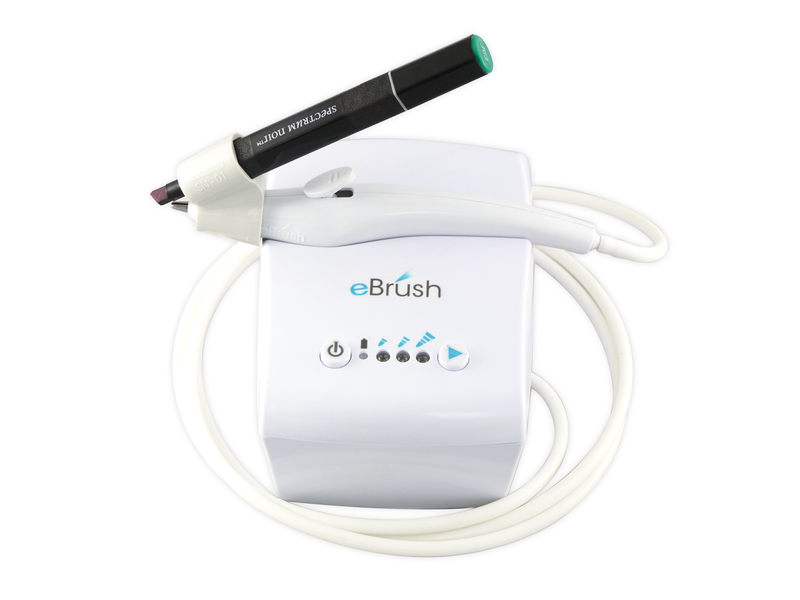 You're now ready to C O L O R using the eBrush! Coloring is my favorite part of the project! I chose to use Sharpies with my eBrush, but a water-based marker would work just as well and the resist will show much better on the peeps. 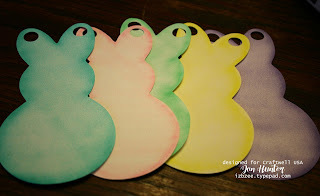 Be sure to layer a little extra color around the outside edges of the peeps and tags. 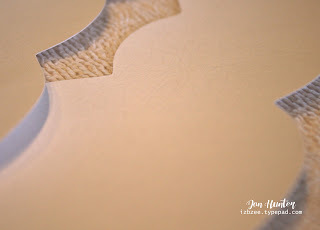 Using a dryer sheet (used) to remove a little excess color and reveal a little of the wax resist (You could also stamp and heat emboss using a texture stamp). Color the letters that will go on the tags. 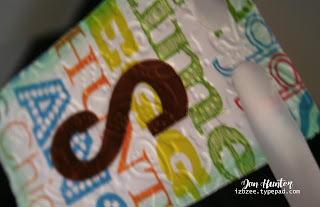 I used an embossing folder to add a little more texture to the tags and to the lettering. Run the letters through the Xyron and apply to the front of the tags. 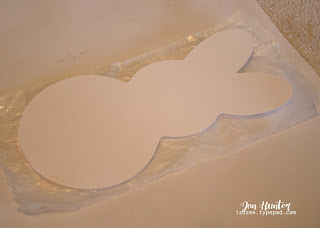 If desired, adhere 1/2 of a cotton ball to the peep using a glue gun or quick dry glue. When the glue has dried, run your ribbon through the tops of the tags and the peep ears. Hang and enjoy. Here's one last look! Easter has come and gone, but hoping you'll think about this banner for next year's holiday decor. Set aside some creative time this week! Stay tuned more projects coming your way.